The Corruption rules are one of the unique selling points of Symbaroum. 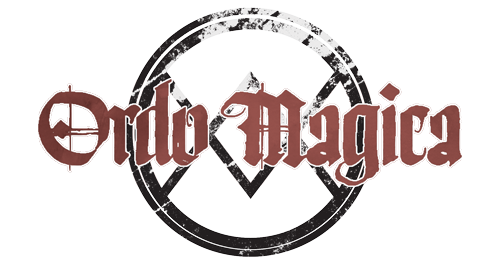 The idea that magic is dangerous is an intriguing idea, and one that is only rarely explored in roleplaying games. It’s one of the most evocative parts of Symbaroum’s setting, and the effects that Corruption has on the world and its people makes readers and players recoil and question their actions. The danger of becoming marked by the blight always hangs over the players’ heads, and characters are never safe from the poison of the yonderworld. It’s just unfortunate that the actual effects of becoming marked by the blight are relatively tame (aside from certain balance issues I addressed in the previous post). The table of stigmas has some cool and evocative effects, but few nuances and little that genuinely pushes a player to endure the consequences of their actions. Coming from a tradition of genuinely dangerous Psykers in Dark Heresy, as well as buying into the energy of Wratha that underlies all dark motivations in Symbaroum – I’m curious to explore some ideas of more immediate and sinister consequences for players that cross beyond their Corruption Threshold. These ideas are meant to push players to lean into the roleplaying consequences of magical exposure, and to make temporary blight at least as interesting as being permanently blight-marked. If the character’s number of Permanent Corruption points keep it at or above their Corruption Threshold, the Stigma and Affliction are permanent (until the character can find a means of reducing their Permanent Corruption). If the character is held at or above their Threshold by points of Temporary Corruption, the Affliction only lasts for the length of the scene and the Stigma fades within 24 hours. Many lasting Afflictions function as addictions as per the Addiction burden at Level 1 (-1 to all tests for each day the character goes without fulfilling the Affliction). In the scene when the character first gains their Affliction, they must roll Resolute each turn or seek to satisfy their Immediate compulsion. If they pass their test, they may act normally that turn. Characters with the Sorcery Tradition do not suffer from the Immediate compulsions of their Afflictions. They have learned the secret arts to accept these urges without immediately acting on them. They still suffer the Lasting consequences as normal. Rashes, blemishes, and pimples that grow into unsettling shapes and patterns. Thick growths on the skin that quickly turn into actual tree bark, leaking white sap when picked. A wound that festers and will not heal, oozing bubbling pus. Irises that shimmer like pearl, reflecting light like a cat’s eyes at night. Teeth like fangs or nails like claws or talons that make it difficult to act normally without causing minor injury to oneself. A stench of rot or sulphur, spewing from the character like a breath of miasma. Feverishly hot or clammy cold body heat and a constant presence of flies. Hair that starts to grow into lichen, moss, or thin branches before falling out. Eyes with malformed inhuman pupils, like a cat, squid, or goat. Blackened streaks like ink in the blood, visible when the character bleeds or in their veins when they become emotional. Babbles in a dark foreign tongue when they sleep, speaking forbidden knowledge. Eyes covered in a sickly hue of milky white and dark mottled veins, condemning the character to blindness while their other senses become unsettlingly acute. Red Thirst. Immediate: The character must taste blood this scene. Lasting: The character has an addiction to warm blood. Dark Hunger. Immediate: The character must taste raw flesh this scene. Lasting: The character has an addiction to raw flesh. Unspeakable Appetite. Immediate: No immediate effect this scene. Lasting: The character has an addiction to consuming rancid and rotten food. Embrace Purity. Immediate: The character must reject the instruments of culture and progress and embrace their animal nature this scene. Lasting: The character cannot endure the confines of cities or even buildings, and seeks the depths of the forest. Test the Flesh. Immediate: The character must inflict damage on themselves this scene. Lasting: The character is addicted to taking damage. Empty Mind. Immediate: The character cannot use any of their abilities for the rest of the scene. Lasting: The character cannot use two of their abilities, and cannot recall their own name. Light the World. Immediate: The character attempts to use any flames at their disposal to cause a fire this scene. Lasting: The character has an addiction to setting fires. Alluring Knowledge. Immediate: The character must stop and listen to whispers that no-one else can hear this scene. Lasting: The character is addicted to writing down their cursed communications. Ancient Calling. Immediate: The character must acquire, bind, or use an artefact this scene – whichever is more convenient. Lasting: The character must seek to acquire an artefact they know of. If they do not know of any artefacts, they will be mystically drawn towards one. Silence the Voices. Immediate: The character must strike down a cultural being this scene. Lasting: The character has an addiction to killing creatures.